With the abundance of dating sites that can be found online, it comes as no surprise that many bisexual individuals find the process of locating a genuine bisexual dating site to be extremely tedious and disappointing to say the least. However, in this overview we’ll take a look at some of the things you can do, to find authentic bisexual dating sites that not only offers great functionality but contains an abundance of members as well. One of the most effective things you can do, is to ask your friends and family members if they can recommend a bisexual dating site. The reality of the fact is that, you more than likely have a friend or 2 who has a dating profile on a bisexual dating website. They can provide you with a wealth of information about their experiences about a particular site and you can use that information to decide if it’s an ideal fit. Another effective thing you can do, to locate a quality and populated bisexual dating site is to check the Android or the Apple marketplace for bisexual dating Apps. Even though an abundance of Apps may appear if you utilize the key phrase “bisexual dating sites apps”, the amount of ratings an App has, is a direct indication of how popular it is. For example, an App with tens and thousands of ratings, will definitely have more members than a dating App that has a few hundred ratings. While it may be true that thousands upon thousands of websites may appear within Google’s search engine query if you utilize the key phrase “bisexual dating sites.” There are a few things you can do, to filter the good from the bad. The first thing s you can do is to write down the web address of several sites that appear within your search query that you may find interesting. As opposed to signing up to each individual site, to check its quality, go to w3snoop.com and insert the website address in the ‘Snoop’ tab and click ‘Snoop.’ Once you have done this go down to the ‘Traffic and Earnings’ section that is below the ‘Information and Statistics’ section. In that portion of the website, you will be able to see the daily and monthly amount of visitors that the dating website receives. A good rule of thumb to follow is that a highly populated bisexual dating website should have hundreds of thousands of visitors each month. * Be weary of any members that do not have any pictures of their face, this may indicate that they are not comfortable with their sexuality. 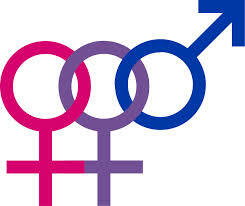 * Ask your potential partner about their prior experiences as far as being bisexual goes. The last thing you want to do, is to spend an abundance of your time on someone who eventually “chickens out” due to a lack of experience. * Ask about their stance as far as monogamy goes. Always inquire about their stance on monogamy, because their stance may be different from yours and this in itself may create a certain degree of conflict further down the line. * Be yourself. Even if you lack experience yourself, let things flow naturally and succumb to your desires.